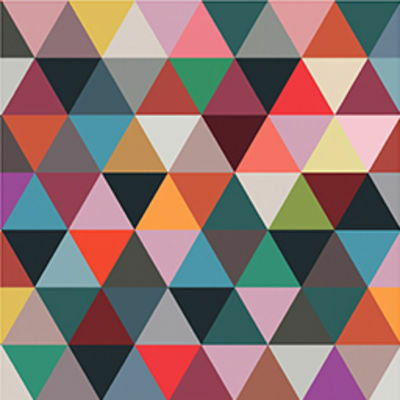 This wallpaper features a geometric pattern of coloured triangles in light, vivid or bright colours. 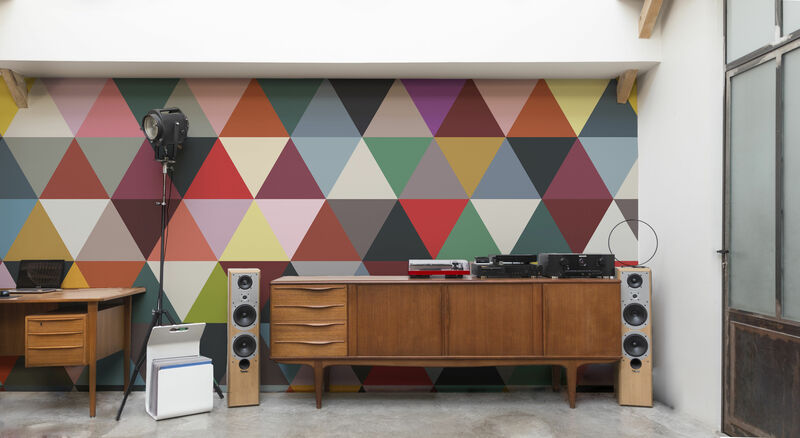 What about giving your walls a look of a giant and ultra graphic kaleidoscope? 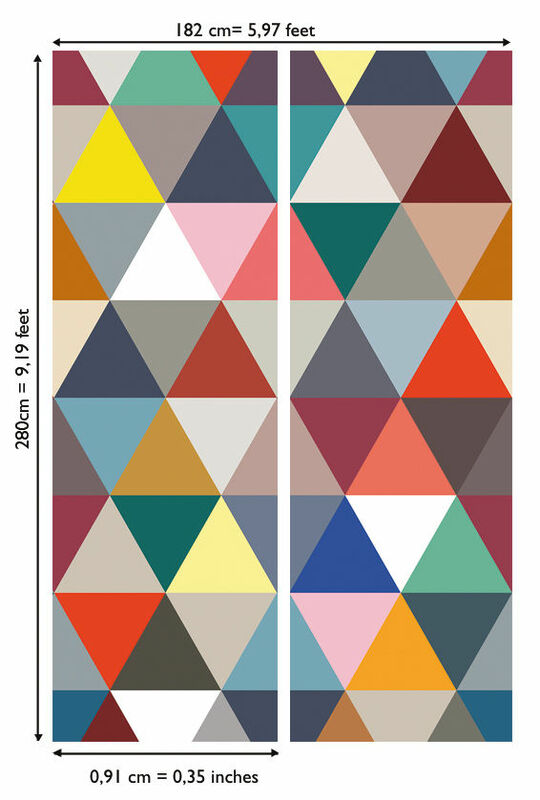 Bien Fait wallpapers are made in France and the material is of a mix of paper fibre and polyester in mat finish; it feels sooth, sensual and velvet if you touch it. 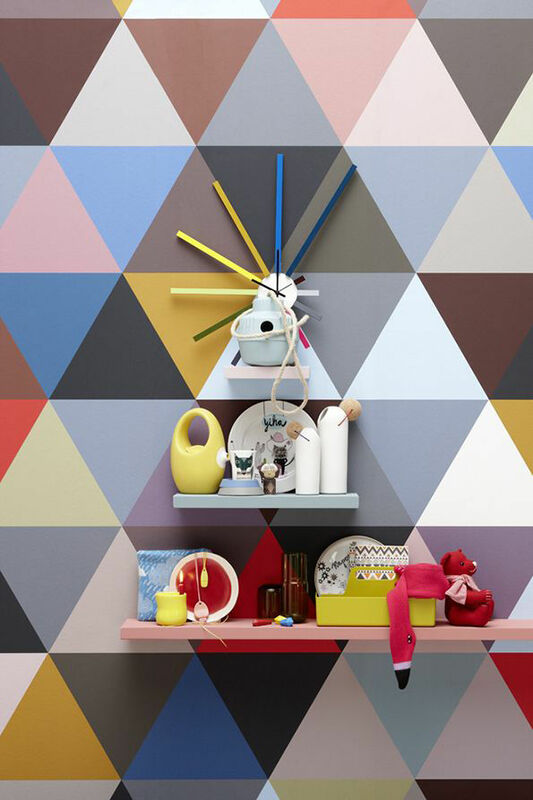 This wallpaper is easy to put on walls and is washable, too. It is ultra resistant, does not tear does not turn yellow with time. To ensure a perfect result, the connections are verified during impression.